Sarah grew up in Foristell, Missouri. She graduated from Lindenwood University with honors and earned a Bachelor of Arts degree in General Studies. Sarah earned her Juris Doctor degree at University of Missouri Law School in Columbia, Missouri. Sarah began working at VBM Law Offices after her first year in law school and has gained valuable experience representing employers and insurers in workers’ compensation claims. 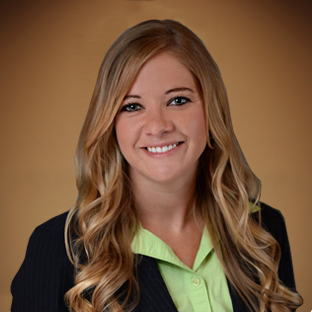 Sarah has traveled to numerous workers’ compensation dockets and has appeared in front of several Administrative Law Judges throughout the state of Missouri. In her free time, Sarah enjoys horseback riding, boating, and spending time with family and friends. Sarah is a member of the Missouri Bar Association, Boone County Bar Association, and the Workers’ Compensation Law Committee. Sarah is admitted to practice in all Missouri Courts, as well as the United States Western and Eastern District Courts. "The choice of a lawyer is an important decision and should not be based solely on advertisements." Please see important DISCLOSURES.